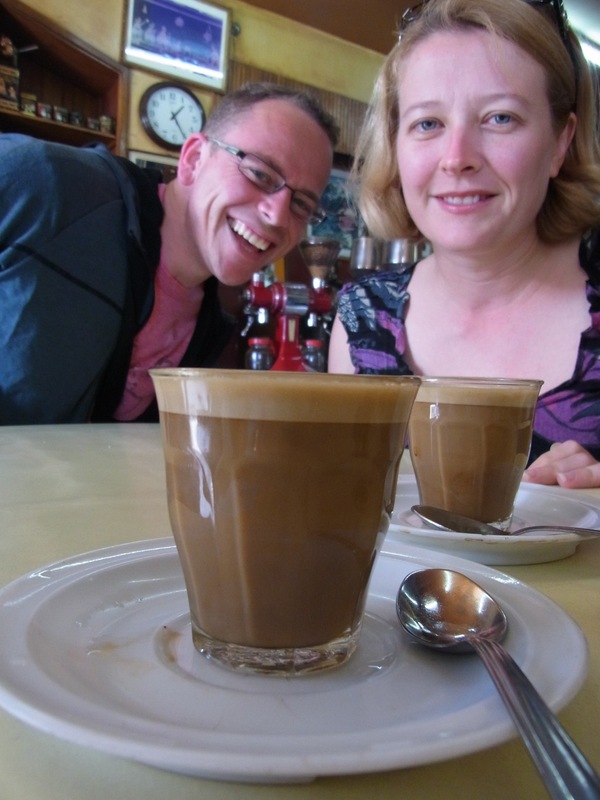 Addis Ababa, hot coffee and cool jazz…. Straight away – the ruins of planes littered the sides of the runway and the randomness of the immigration process (visas bought on spot with USD 20 & handwritten in triplicate) was a reminder I was back in the developing world. The car journey to the hotel was the final slap of reality that I needed. 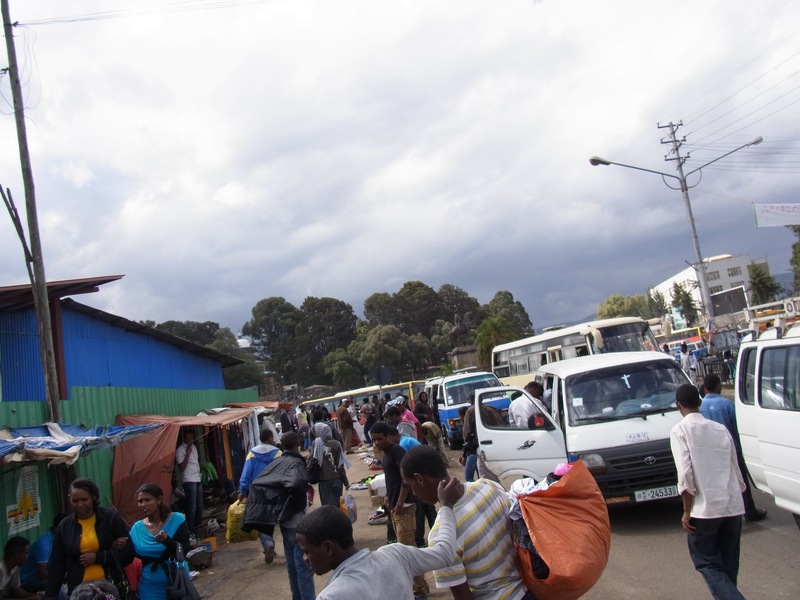 Addis Ababa is poor, very poor. Out of all the places we have been – immediately it feels the least developed. We stayed at the Ghion hotel, which was as random a hotel as you could imagine, complete with extensive grounds and a set of Olympic diving boards on the edge of the worlds largest swimming pool! 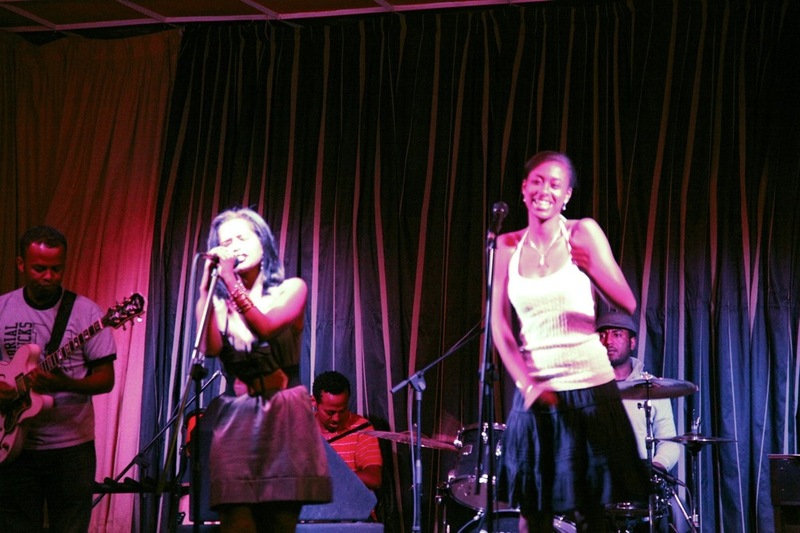 We came to Addis to listen to ethio-jazz, of course we new nothing about this until (our much cooler friend) Gio told us that as we had a stop over in Addis, a night of ehtio-jazz was a must do! Gio as always, has done his research well – and after lunch in an Italian restaurant, we make a bee line for St George Church. At 70% orthodox Christian there was some serious wall kissing, artifact worshipping and general finery to be witnessed. 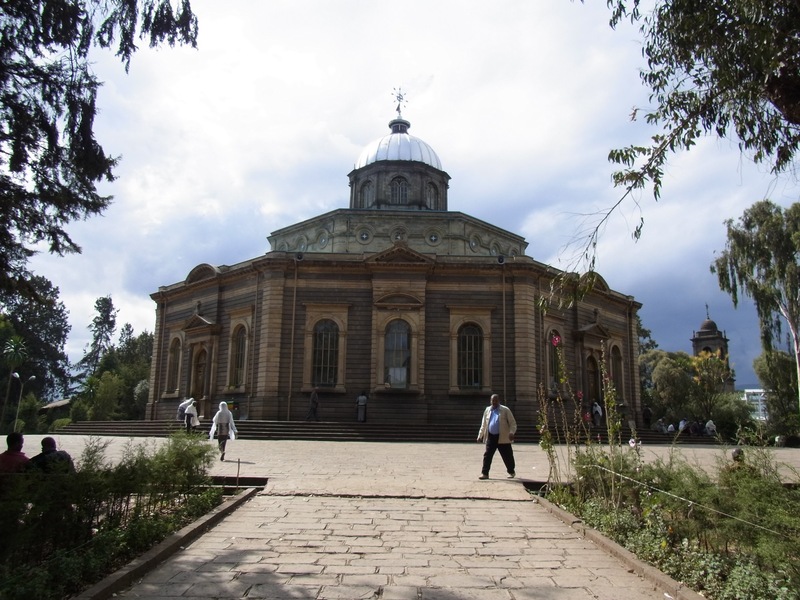 The Ethiopian church is a wonder to behold, they are old school orthodox, so old school that they haven’t adopted the Gregorian calendar, so it’s still 2007 in Ethiopia now! Built to celebrate yet another victory over the Italians. 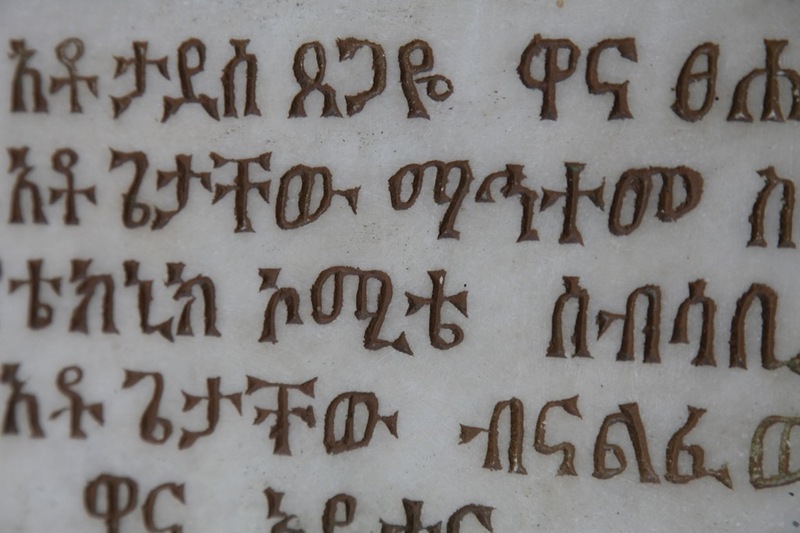 The orthodox influence also created their writing script, which is more like Russian than roman script. Dude i think you made a spelling mistake there. Walking around the city itself was a mission. Closed toe shoes are a must. The city was dirty, dusty and generally a little mean. The most common enterprise was shoe cleaning and selling banana chewing gum. Not the stuff great economies were built on. People did look desperate and afflicted. It was not a happy place to be and yet another reminder of how amazing life is for most of us. 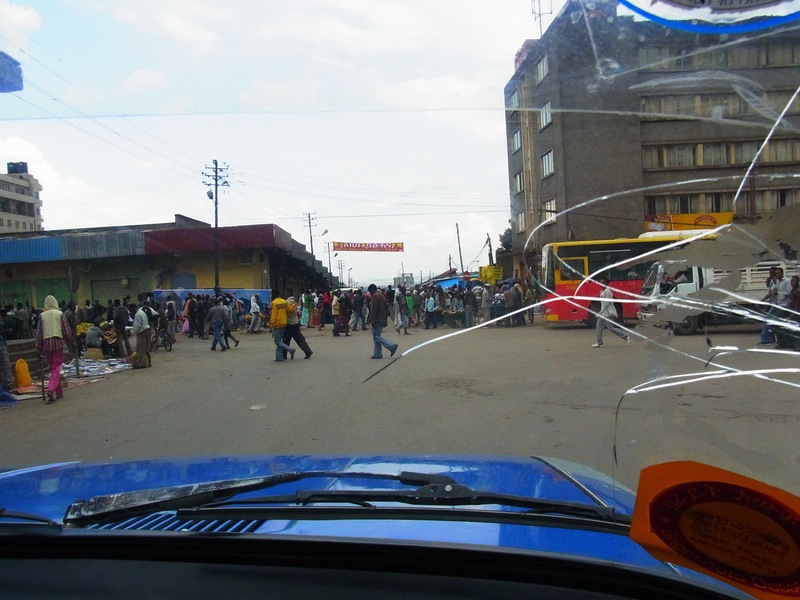 By 5pm it was raining, and we bundled into the nearest taxi – Greg informs me it was 1970s Lada – fresh with Dutch number plates underneath the Ethiopian plates. Our driver was Ayele (phone number 09 11 204045) after a few minutes it was clear that Ayele was no normal taxi driver. 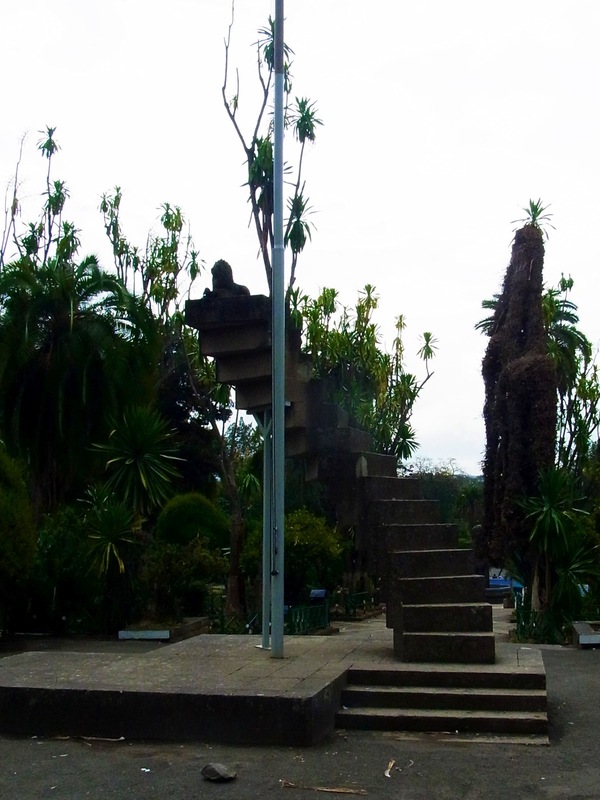 He was articulate and passionate about Addis Ababa and a great impromptu tour guide. His role in life was to save enough money to get his only child into private school. I’m pretty sure he will succeed. Thus we asked Ayele to drive us the next day. So a flat rate was arranged – £25 for 8 hours. 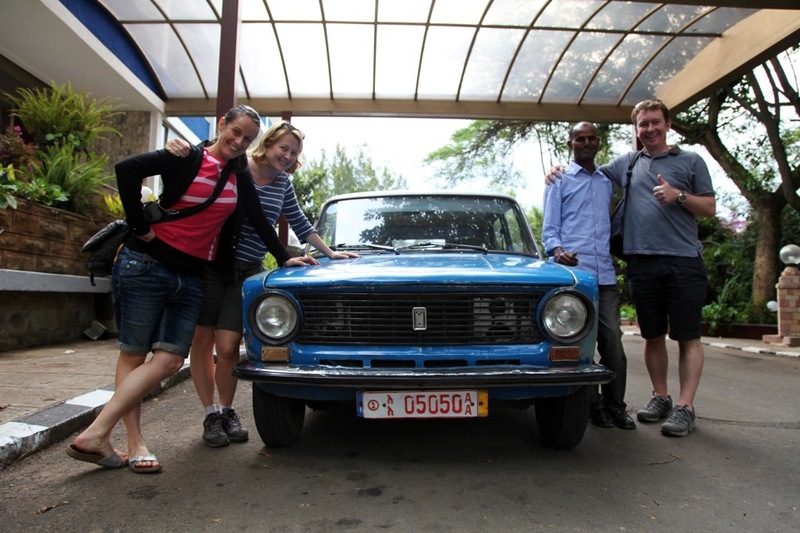 Ayele and his trusty Lada taxi, he is a top bloke! The next day we went to see “Lucy” in the Ehtiopian Museum; she was looking pretty good for 2.4 million years old. 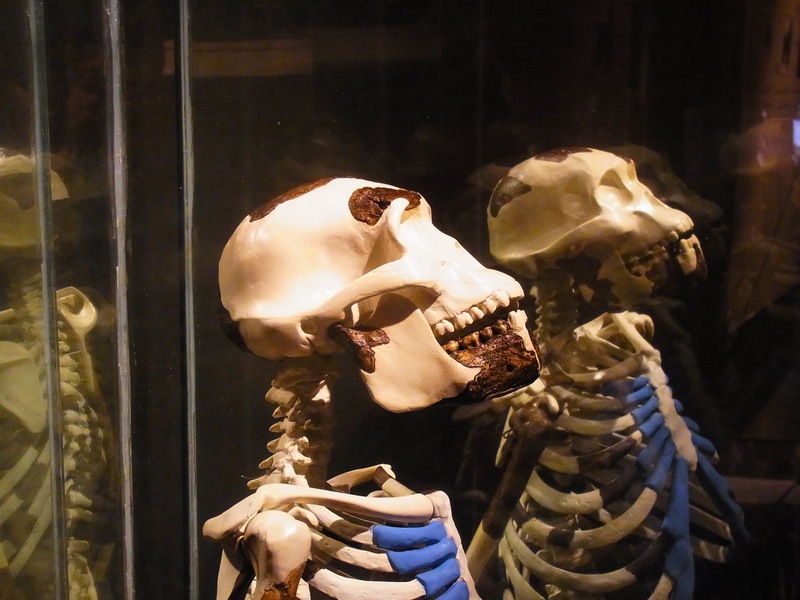 She has been described as the link between chimpanzees and humans – the first example where we walked on two’s not four’s. Ethiopia, the home of coffee, and walking upright, i wonder if the two are related?!!?! Then we headed to the Ethnology museum. I love Ethnology museums, for me they bring cultures to life as they tried to provide a glimpse of the 13 clans that exist in Ethiopia from birth to death and beyond. The Ethnology museum is in the university grounds, as usual the grounds were full of students hanging around and generally avoiding classes, but the highlight of the grounds was definitely, Mussolini’s stairs, for the brief time that the Italians occupied Ethiopia, Il Duce had a spiral stair case built in the university grounds, a step for each year of his reign, when the Italians were thrown out of the country, a lion (the symbol of Ethiopia was plonked on the top step, sitting looking calm, relaxed and permanent! We tried to head to the market but as it was Sunday – it was closed. We decided to drive through anyway – from what I could see and from Ayele described, I’m not in a hurry to go back! We asked Ayele if he shopped at the market for his fruit and veggies, he replied with a laugh, “no, I shop at the supermarket”!! So the three highlights of our short break in Ethiopia were definitely the coffee, the food and the music. 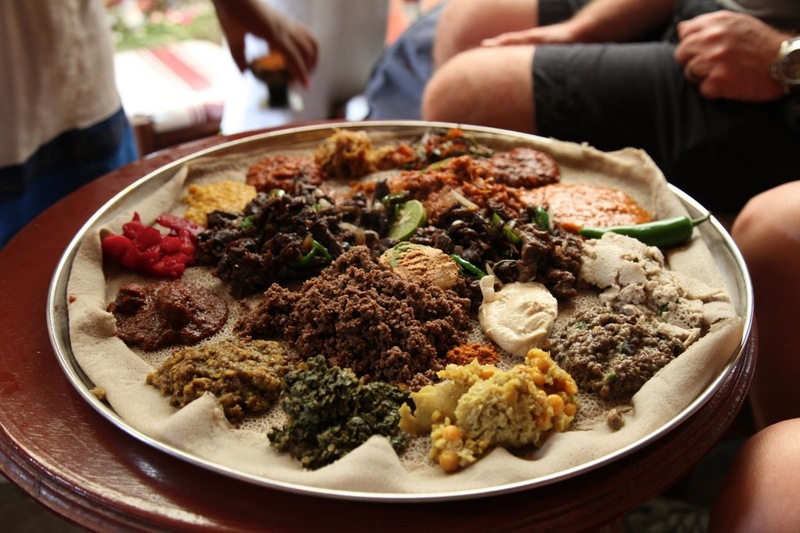 We have loved Ethopian food for a while and there is some great restaurants in London, but that was blown away by the food we had in Addis, the eating hightlight was definitely Habesha Restauarnt , where we loved the sharing, communal focus that a giant shared dish of mixed dishes, eaten with your hands and with an edible plate made of sour pancake like dough. Defiitely one of the worlds great cuisines! We spent two nights listening to ethiojazz, if you like me don’t have a clue what ethiojazz is, just have a look on youtube, there is tons of it, and I have to say its pretty magic stuff. If you can imagine sitting in an easy chair (stolen from your grandmas house), in a room so dark you cant see where the floor begins, then add copious amounts of meta beer (the local draft) and one of the tightest musical groups I have ever seen, then you are starting to get a feel for the evening, I have to say, though initially skeptical, its definitely worth visiting Addis – just to see the jazz! Finally, the main event we soak up Ethio-jazz! So, our brief two day stopover was really just a teaser, there is clearly lots more to see in Ethiopia, from the hidden churches, to the great rift valley, and to see the home of Rastafarian movement, so when the security situation is sorted out, I think we will be back here to see more of what was obviously a friendly, welcoming and amazing country!